When I first started Barn Hunt I did it to give my retired Schutzhund dog Vesna a fun sport to keep her busy and happy. Vesna loved it, I loved it, got hooked and jumped in with both feet. Then there was only one Barn Hunt facility in Arizona. So, I drove 200 miles round trip multiple times to take lessons from Nita Gandara (first BH judge in AZ) to become more familiar with Barn Hunting. I enjoyed Barn Hunt so much that I decided I wanted to create a place to share it with other people. I built ring panels, bought bales of straw and several rats. Our first rat was Henri (girl) who is featured in our logo. We have grown quickly. We now have close to 3000 square feet of roof over multiple rings, 100 plus bales of straw and a lot more rats. 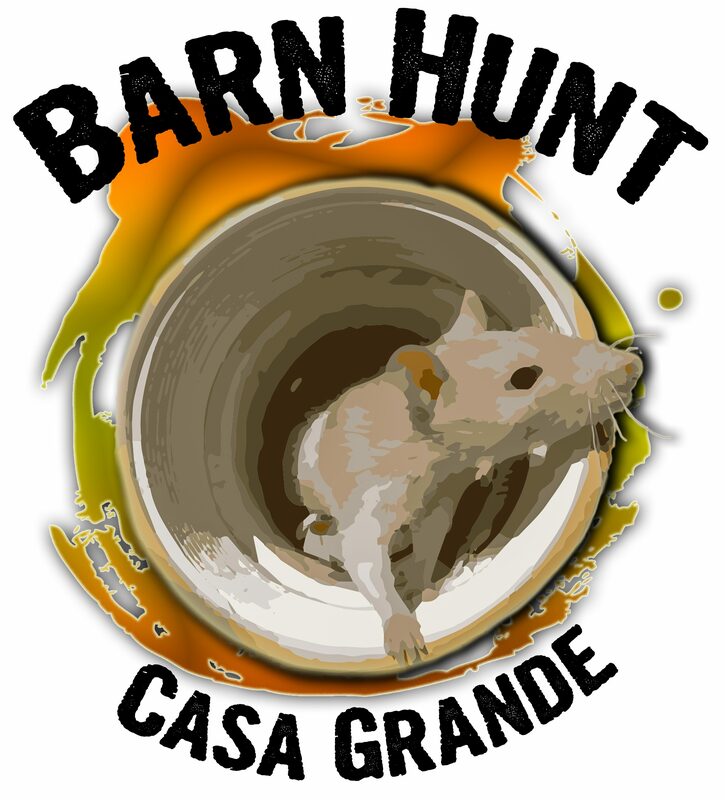 Barn Hunt Casa Grande hosts training/practices three times a week, seminars and trials year-round. I love Barn Hunt and all of the dogs—their unique personalities and how they hunt differently. And I very much enjoy helping people reach their goals with their best friends. With a 30 year background in dog training, I’ve been able to apply those skills to improve our Barn Hunting techniques. To better help people I worked toward and became the second Barn Hunt “A” judge in Arizona and am a designated mentor able to help other clubs. We invite you to join us at Barn Hunt Casa Grande and enjoy this unique sport with your furry best friend. Barn Hunt is a family sport and can be held indoors or outdoors, in a barn-like setting or on any piece of level ground that can be enclosed securely by gating/fencing. At all times, the safety of the dogs, handlers, and rats is to be of paramount importance. 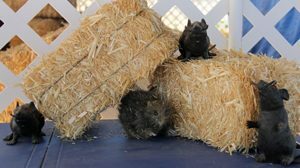 Rats will be humanely handled and safely confined in aerated PVC tubes; Barn Hunt is not intended to harm or kill rats.